Goodbye 2013, Hello 2014 . . .
Oh my what a busy 6 months it has been (hence the long break from blogging). Since I started the summer production run back in July I don't feel like I have stopped! I have been working the two looms in rotation, using 'Levi' to produce the Regal scarves and 'Lawrence' for the Festival collection. Its been a great system which has allowed me to weave on one loom while the other has been set up by one of the amazing interns I have had through this year. And my what a fantastic help they all were, I couldn't have done it without them, so special thanks must be awarded to Nav, Victoria, Katie, Alice and Charlotte (especially Charlotte who put up with me for 10 whole weeks!). 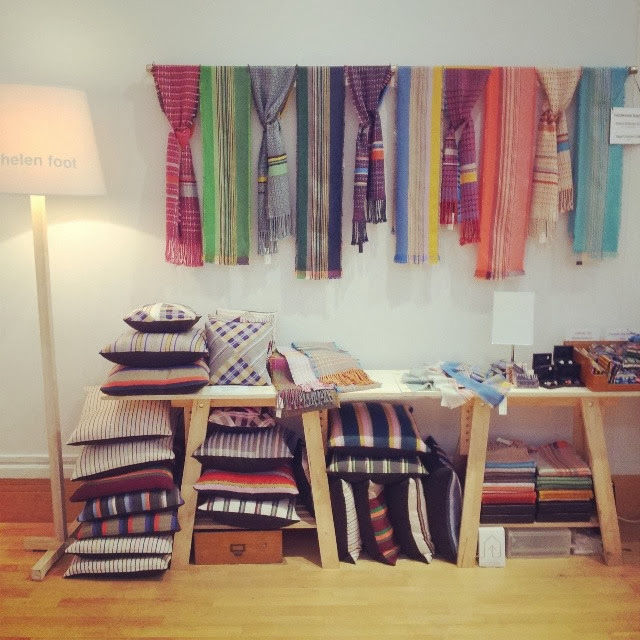 With three shows this Autumn, a whole host of new stockists, plus my regulars and a pop-up shop at Somerset House I needed to weave a lot of scarves! At my final count just before Christmas it totalled 153 woven this year. Nothing like being ambitious! So after such an extensive weaving schedule I've let myself have a well deserved break for Christmas and New Year. Now I'm looking to the year ahead. Part of what has kept me so busy lately was that I was asked by Stroud International Textiles to curate a seminar which will be taking place in May. 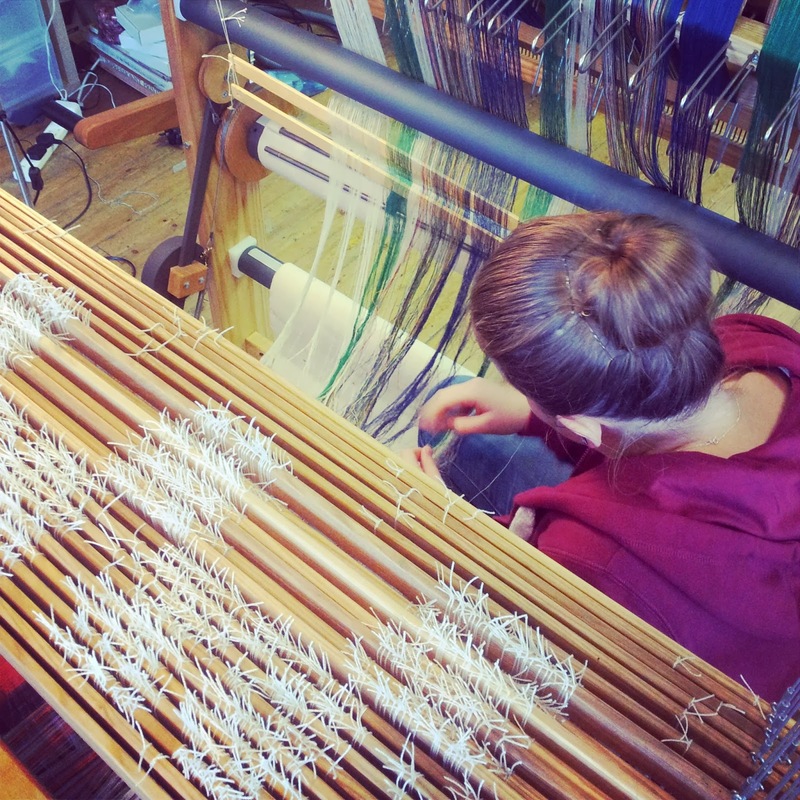 The seminar is titled LOOM and will feature some fantastic speakers (even if I do say so myself!). Tickets aren't available just yet so I will be posting more details of this later. And then my real big news is I've decided to move to Bristol. I'll be setting up a studio with one of my best friends who is also a weaver, all very exciting but means there is lots of planning to be done. This will be happening around June/July so if anyone would like any commission weaving now is the time to get in touch. So thank you for your continued support over the last year and if you're looking for a bargain there are still a couple of days left to take advantage of my Winter SALE! Happy New Year everyone!